D9539 & D9553 pass Didbrook on the Gloucestershire Warwickshire Railway with the 09:50 Toddington to Far Stanley service on 19 March 1995, during the line's Spring Diesel Gala. 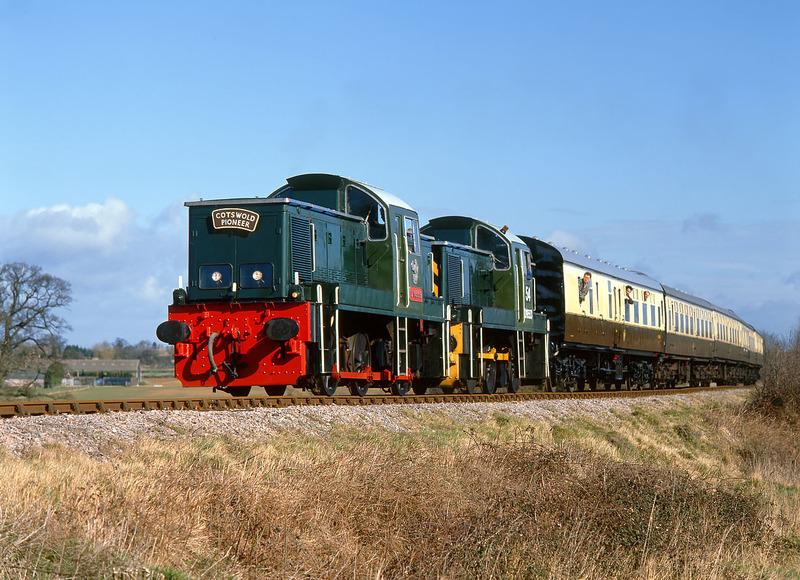 Once the mainstay of the line, the Class 14s have seen less use on passenger trains in recent years as the line's ever growing stud of mainline diesels have taken all the limelight. Although a far cry from their intended role as trip freight locos, this double header certainly looks impressive with the contrasting colours in buffer beams and coupling rods.